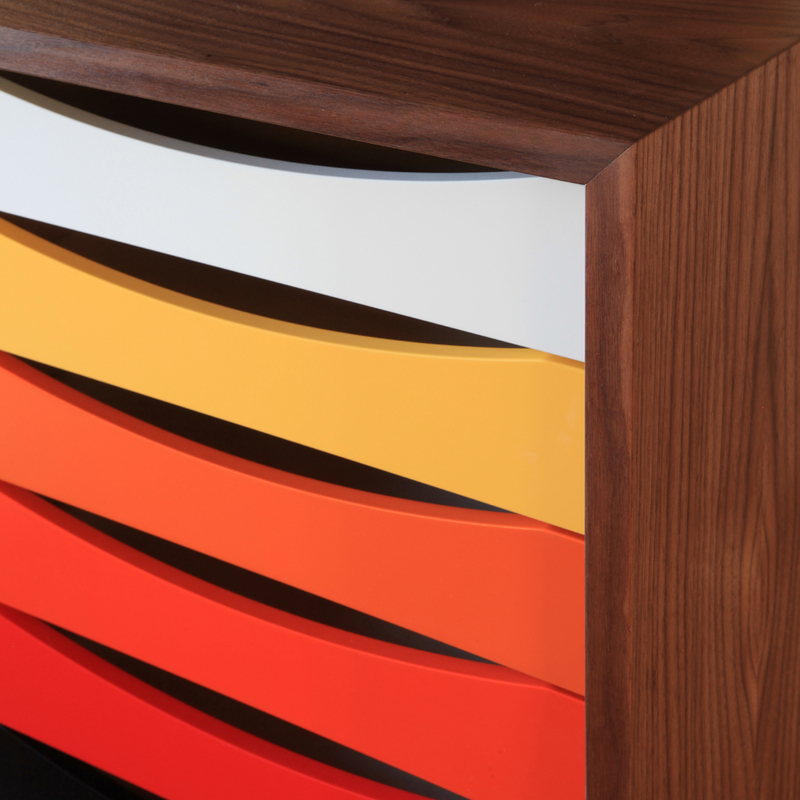 The FJ Sideboard is available in walnut, teak, oak and Oregon pine, and in a yellow / red range of colours and a blue range of colours. The frame is in hand-burnished steel. Dimension (HxWxD): 90 cm x 180 cm x 45 cm. Finn Juhl was preoccupied with shapes and colours during all of his life because of his great interest in cubist and surrealistic art. 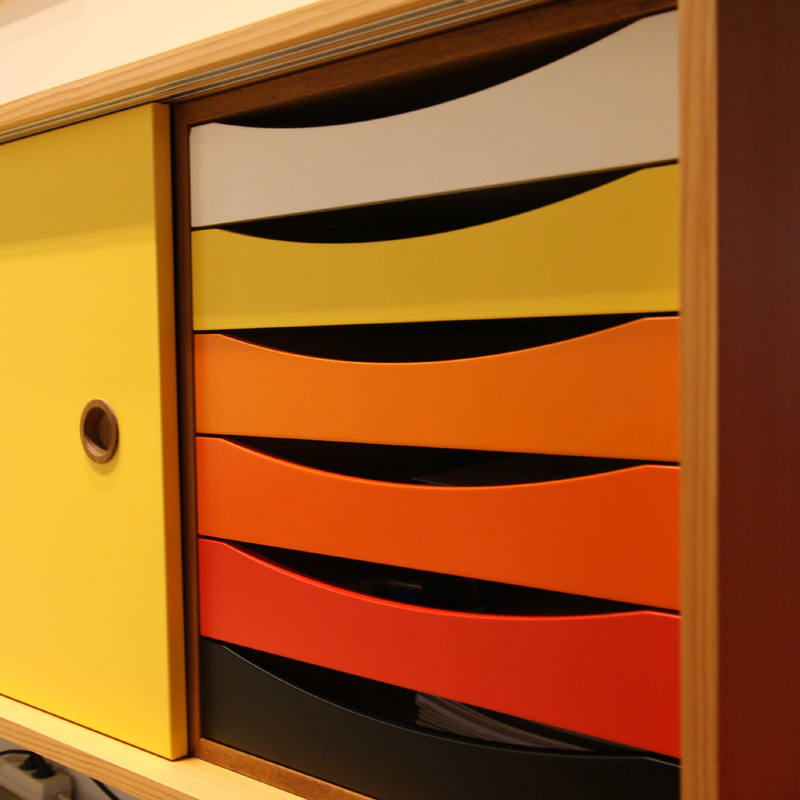 Finn Juhl was a pioneer with regard to including colour as an active element in space, furniture and textiles. This he did with a rare confidence so that his arrangements appear with great sensuality as a coherent whole – “Gesamtkunstwerk”. 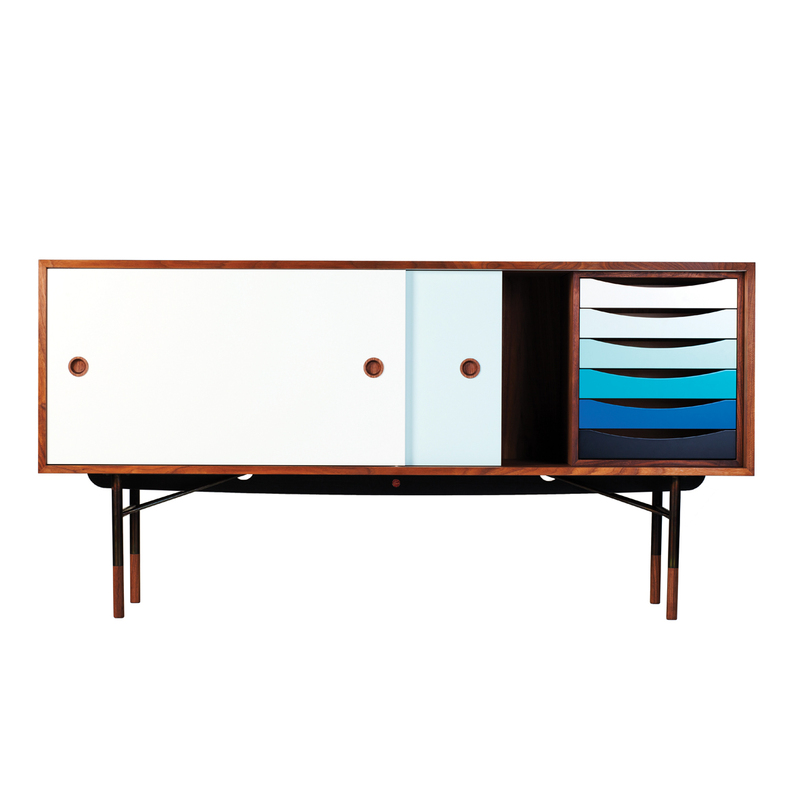 The Sideboard with coloured sliding doors and trays was designed by Finn Juhl for BOVIRKE in 1955. 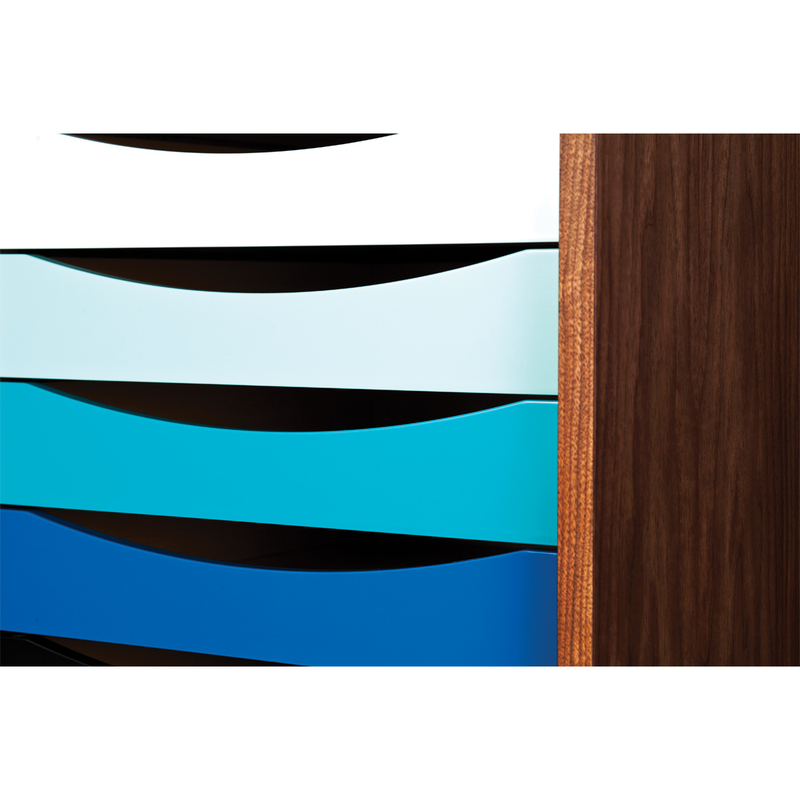 It is part of a theme with cubist wood cabinets that float on delicate steel frames with wood “feet” and in particular the colours which Finn Juhl arranged throughout the 1950s and 60s. The colour elements reflected his fascination with Goethe’s famous colour circle, which placed the colours in a harmonious cohesion. 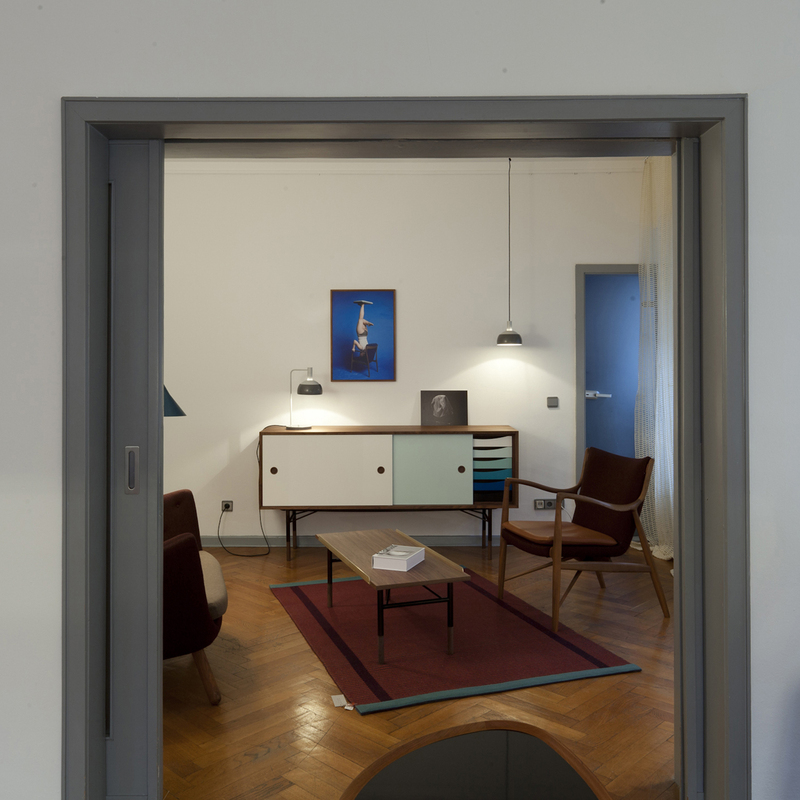 Finn Juhl’s own house at Ordrupgaard in Copenhagen is a bright example of his use of colours.